The Friends of Luton Parish Church exists to support the historic Church of St Mary's by raising money within the town and wider community of Luton, to help in maintaining the fabric of the Church and enhancing its beauty for future generations. The Friends of Luton Parish Church was formed in 1965, and since inception the Charity has given more that £1m to the Parochial Church Council to pay for essential repairs and improvements to the fabric of the church. 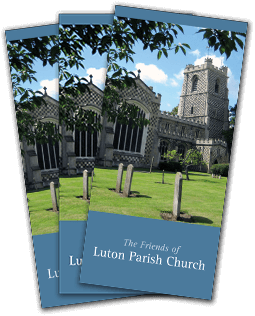 To join Friends of Luton Parish Church, download our leaflet, fill in the form and return it to us.